A home or office can be full of all sort of items; useful things, important belongings, expensive items and more will all be found there. There can also be old objects, unneeded belongings, and goods that are just a waste of space. Such items can pile up over time as we purchase new goods and don't get rid of the old things, we can inherit or buy them all at once, or they can amass after an event such as decorating, building work, etc. Such clutter can ruin the place you live or work in, creating mess that destroys the appearance, feel and space of the building. If you want a simple and easy way of handling these items in TW8, then a Brentford waste removal service is what you need and we at Rubbish Removal Brentford can provide it. Call 020 3795 9570 anytime and we will give you the simplest and most effective waste removal solution in TW8. We have an expert waste clearance team at the ready that can be deployed to your address whenever you need. We can send as many team members as necessary, at a time and date convenient for you. Our team will have equipment for breaking up goods, storing and moving items, as well as vans to easily transfer your belongings away to be disposed of. We can handle a wide range of goods, including furniture, toys, clothes, books, DVDs, CDs, VHS, electronics, and much more. We will collect things from your home and ensure everything is correctly and legally disposed of. 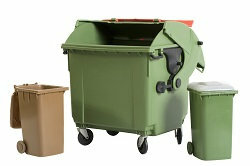 We employ the best TW8 waste disposal team for the job so that you get the best result. To talk to an expert and learn about all the things we do, call 020 3795 9570 now. Our staff are trained and experienced to handle waste removal safely and quickly. They can break up and bag goods, working with you to get the right items. They can shift items thorough your abode without any problem, whether it's out of rooms, the garden or whatever. They will ensure there are no accidents and no injuries will take place. They will load their vehicles carefully and get things swiftly transported for you. We can even do this as a same-day service, ensuring the swiftest results. Our policy at Rubbish Removal Brentford is to ensure the Brentford rubbish collection services we provide for you are environmentally friendly. 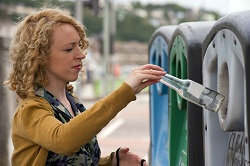 We take all efforts to guarantee that we do not harm the Earth when disposing of goods. We avoid using landfills and similar junk disposal methods as much as possible, and will never engage in illegal dumping. We work with local recycling firms and centres in Brentford, TW8 so that your unwanted possessions can be made into something new, reused or destroyed in a green manner. We take pride in our commitment to the Earth and ensure that this junk removal work never comes at an additional cost to our customers. Call 020 3795 9570 now and discover what we can do for you. Our call staff are waiting for you call and will tell you more about us and our services. We will give you all the details, as well answer any questions you might have. We can cover any waste disposal in Brentford, TW8 as you will discover when we supply a free quote. This estimate will reflect the support you need and allow you to see the price in advance. You can pass on any offer you disfavour without any worry, allowing you to get the service right for you. We will give you the best rubbish removal service Brentford for the best price, so call us today.